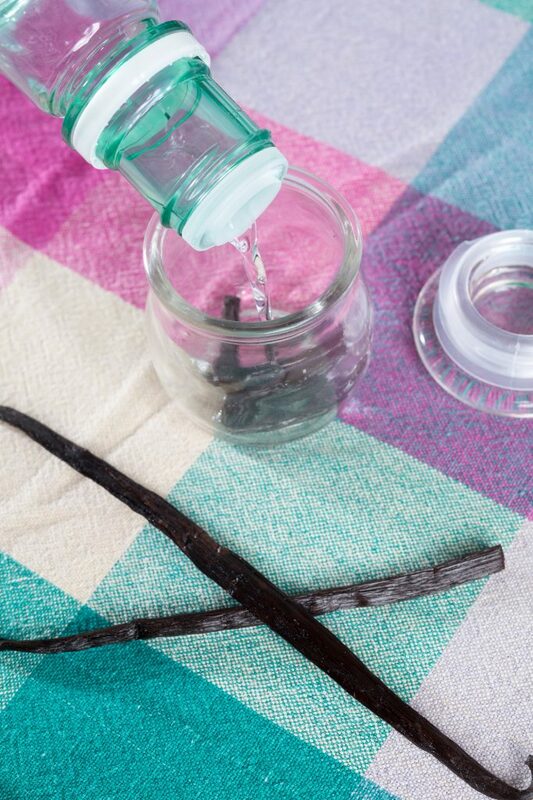 Vanilla Extract is a kitchen perfect recipe that’s so easy to make! 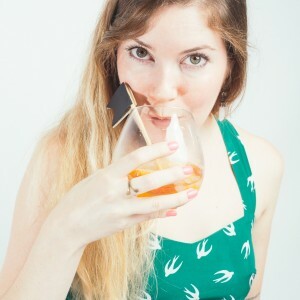 It makes an adorable gift and is a gorgeous way to use and admire vanilla beans. 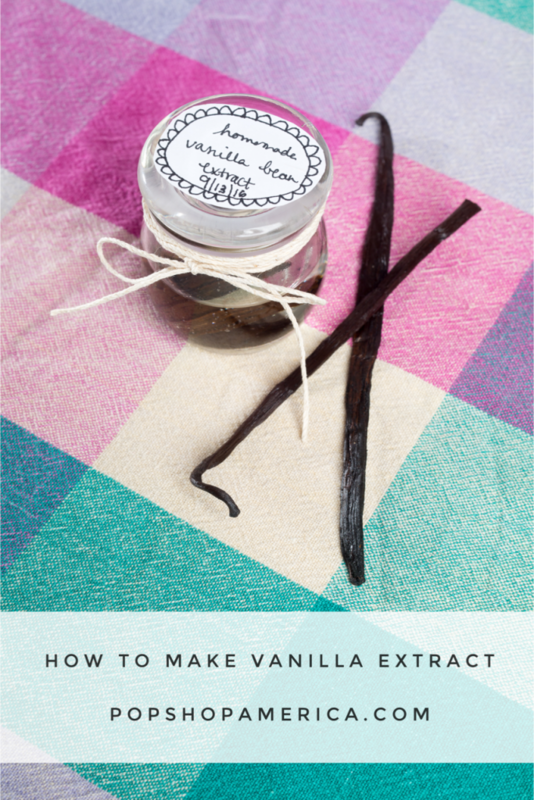 When you read this recipe – How to Make Vanilla Extract you may never buy it again! 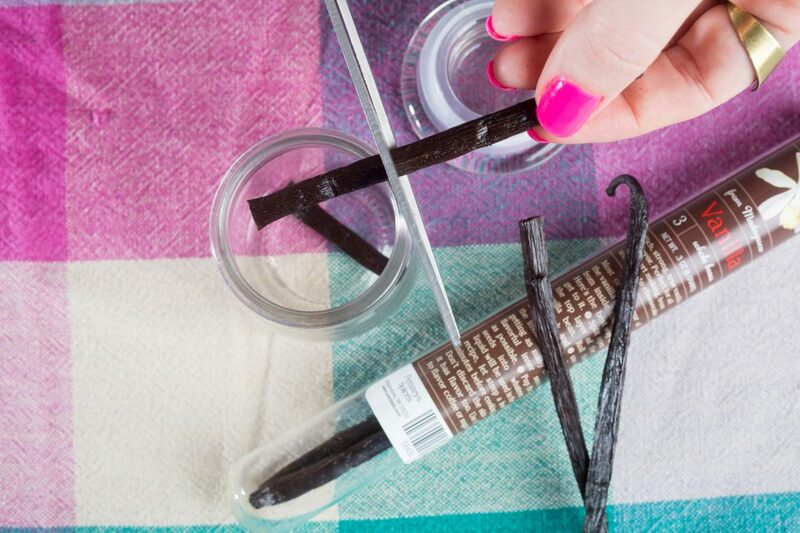 To make vanilla extract you only need a few supplies. 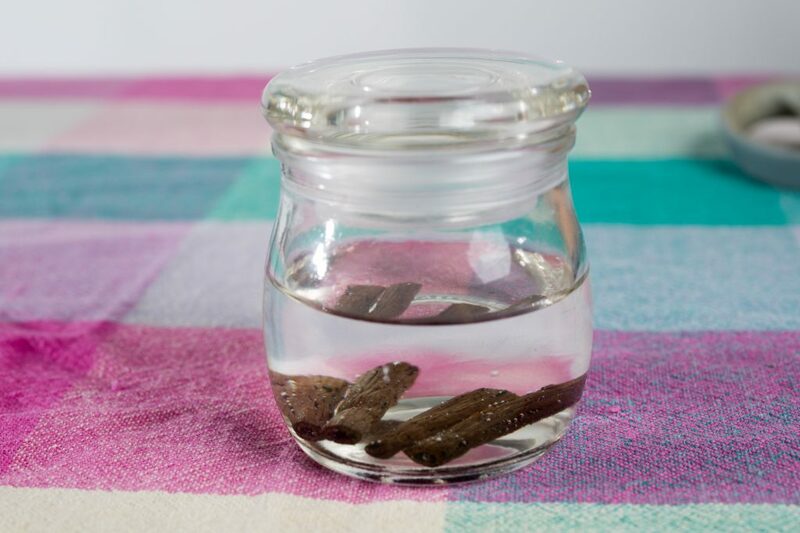 Cut your vanilla beans and add them to the glass jar. 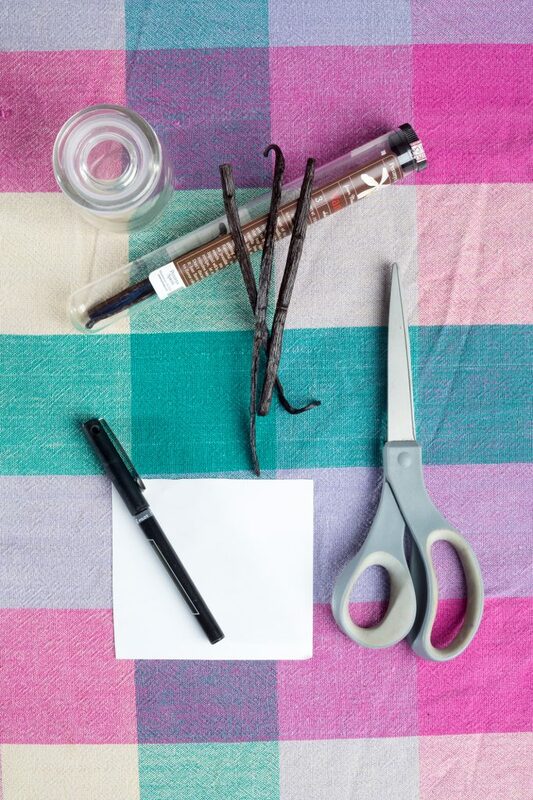 Scissors are so much easier that a knife but you can use either one. 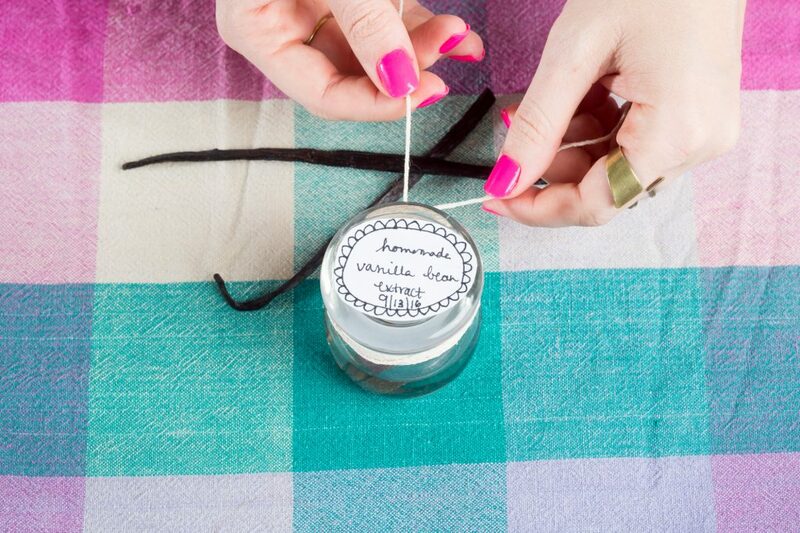 Your jar can be any size – just be sure to adapt the amount of vanilla bean you use. 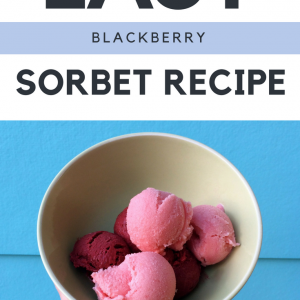 For our recipe, we used a glass jar that holds about 4 ounces. Add one whole bean to the jar. You do not need to scrape the pods. Honestly, when you scrape the pods, you will often end up with more vanilla bean at the end of your knife than anywhere else! Now pour your clear liquor over the vanilla beans and into the jar. We used rum for ours because we wanted a rice and spicy flavor but vodka is the most ideal liquor. Vodka has a clean and clear flavor that won’t overwhelm your vanilla extract. Gin will have a slightly herbal and medicinal flavor. All of the liquors have their own unique palette and will blend well with certain recipes. 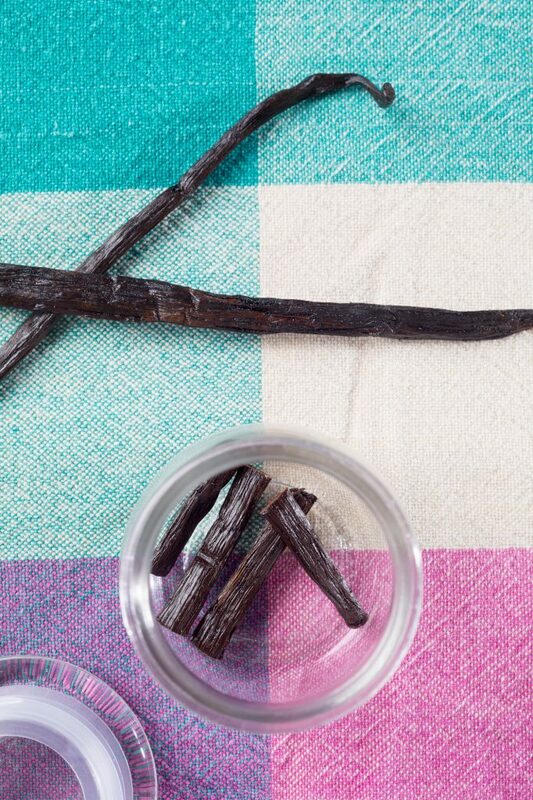 Isn’t your jar of vanilla beans just gorgeous? 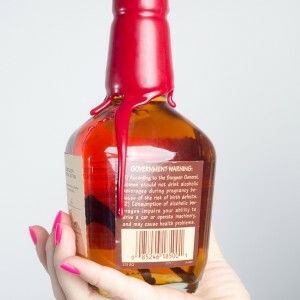 Now it’s time to make your vanilla extract super cute! I created a handmade label for the lid with a scalloped border. You can make this look however you want. 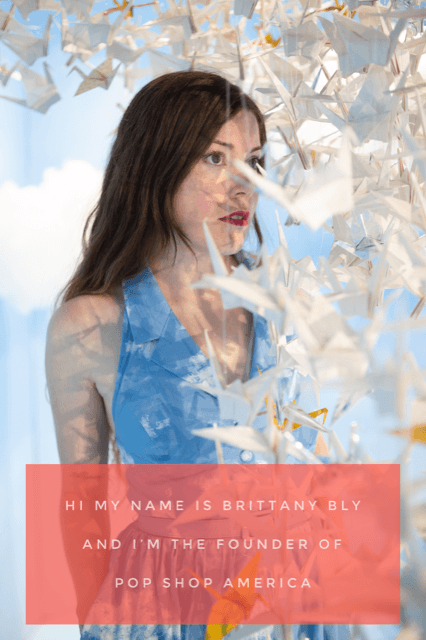 You can print one on your computer. Or you don’t need one at all! But it is ideal to write the date that you created your baking extract so you know when it will be ready to use. Now for the trick – it’s the waiting game! Be sure to store your handmade baking extract in a cool dark place for 2 weeks before use. 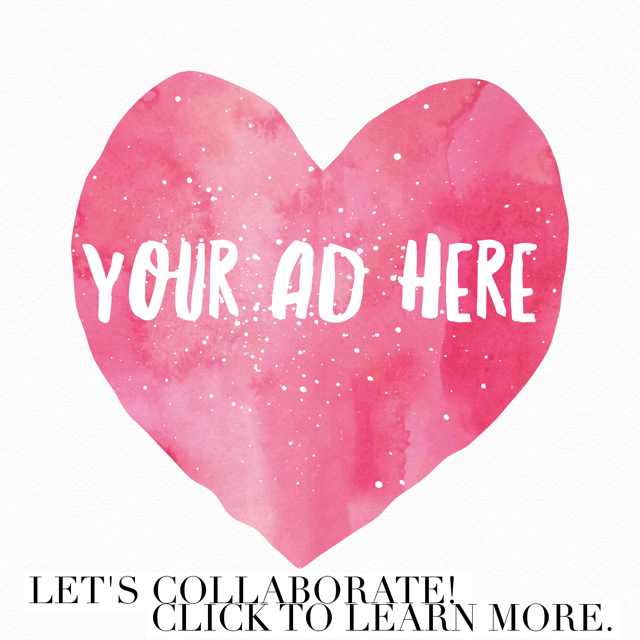 Oooh what a cool idea, and just in time to start prepping for holiday baking! This is amazing! I’ve never thought to make my own vanilla extract before. I’m excited to try this!